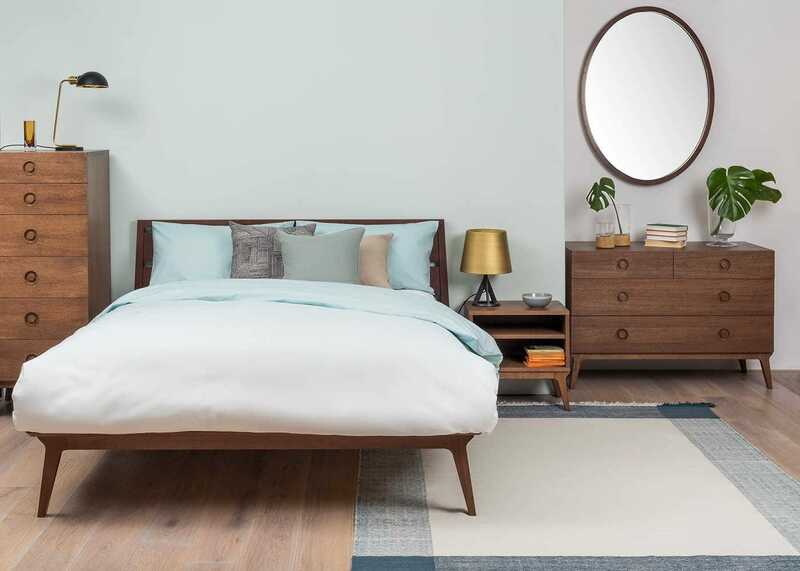 Spread the cost from only £87.50 a month with Interest Free Credit. 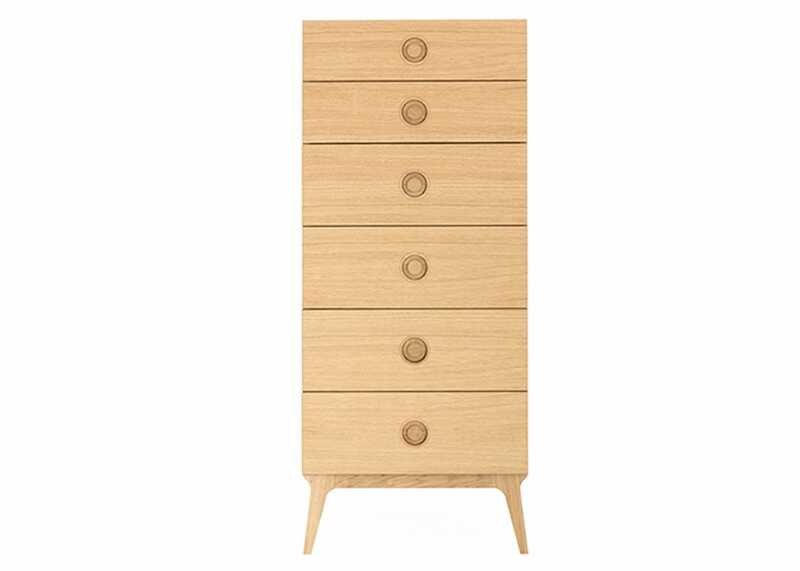 The Valentine Tallboy by Matthew Hilton is the perfect companion to the existing bedroom collection. 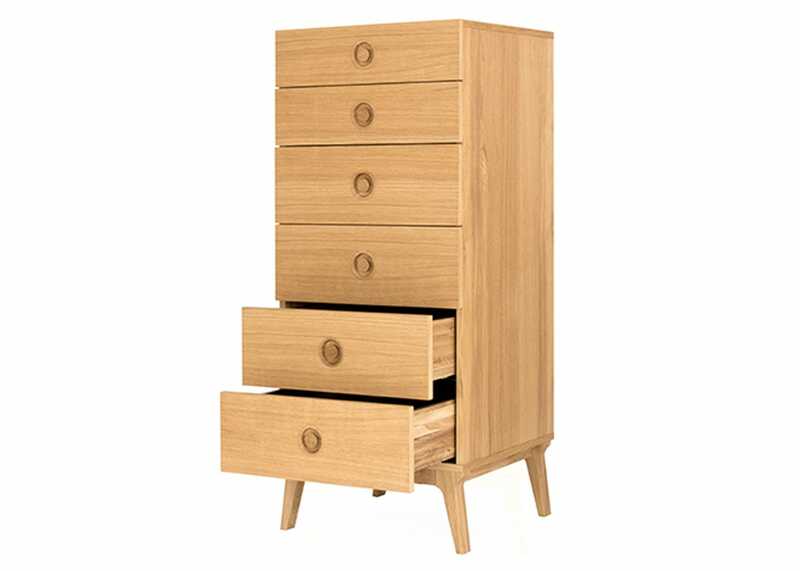 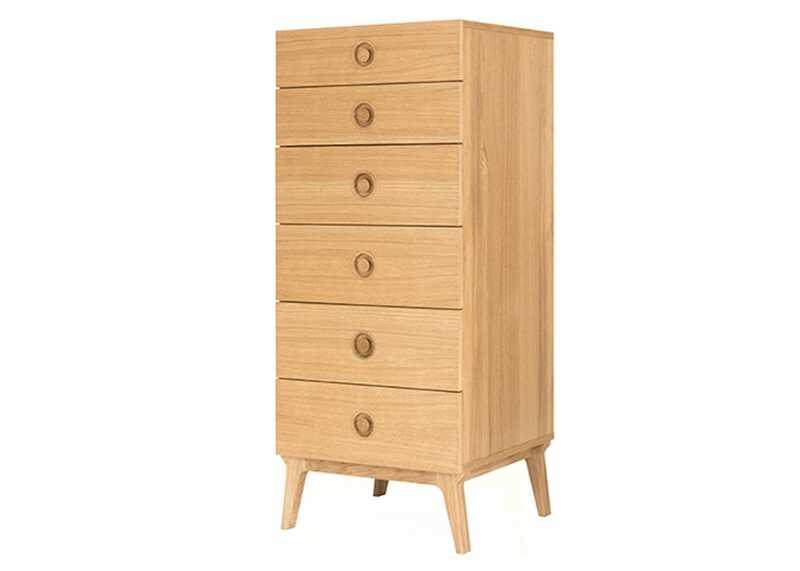 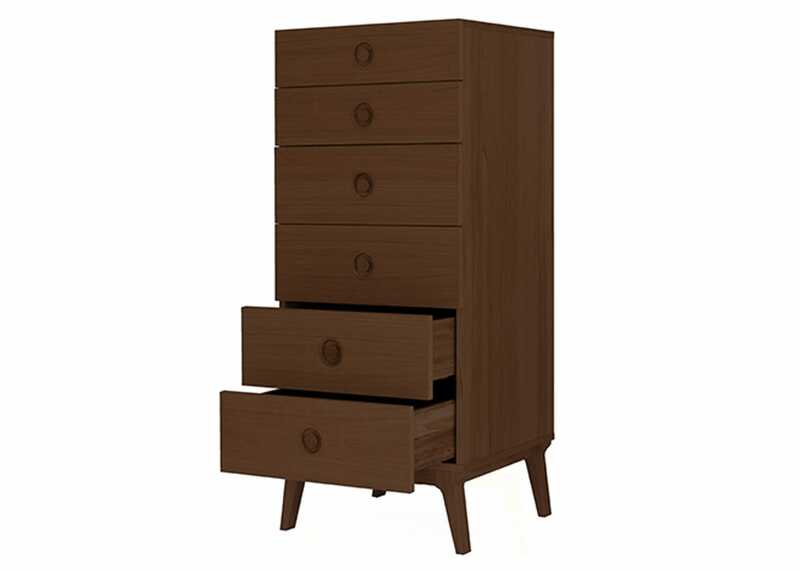 With the same amount of internal space as the chest of drawers but with a vertical arrangement, the tallboy can be used to provide some additional sleek and contemporary storage. 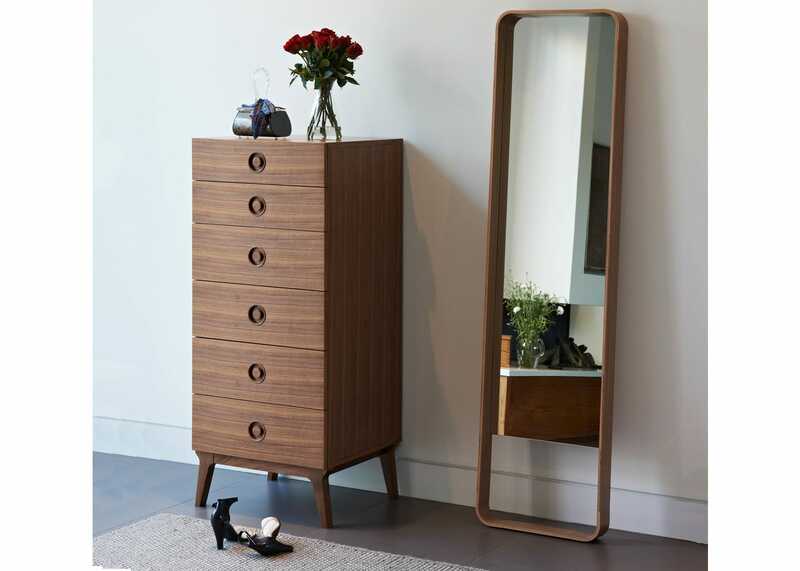 As with all of the Valentine range, it features the signature tapered leg detail, which lends a visual balance to the piece. Raised up from the ground, the tallboy creates a feeling of space by keeping sight lines around the room clear. 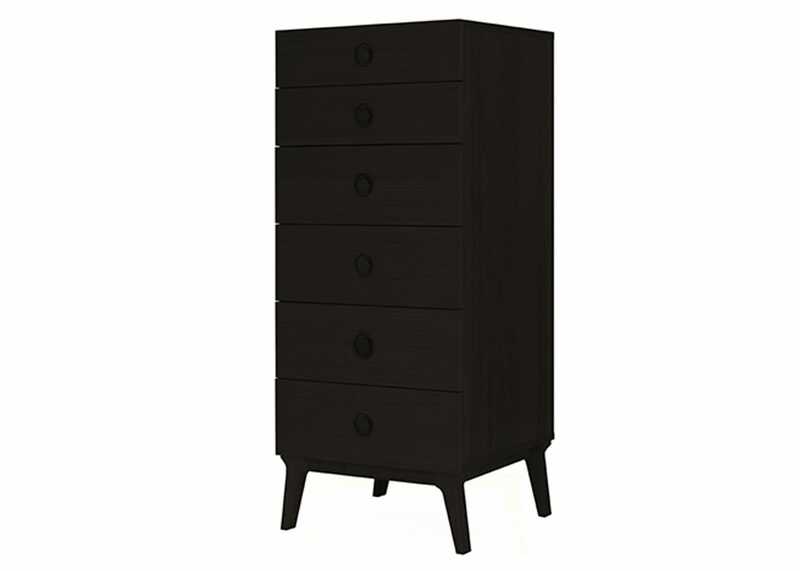 Additionally, it makes it far easier to clean around the bedroom furniture. 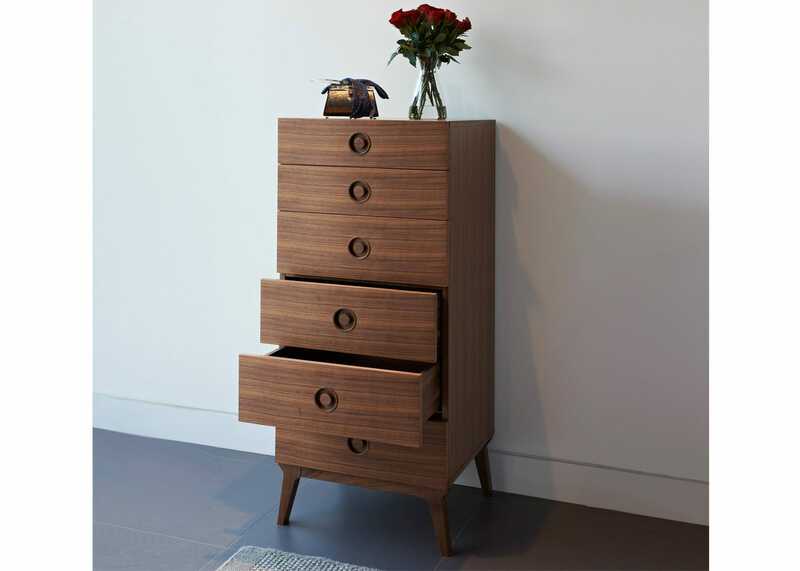 Tapered high leg detail makes it easy to clean around.